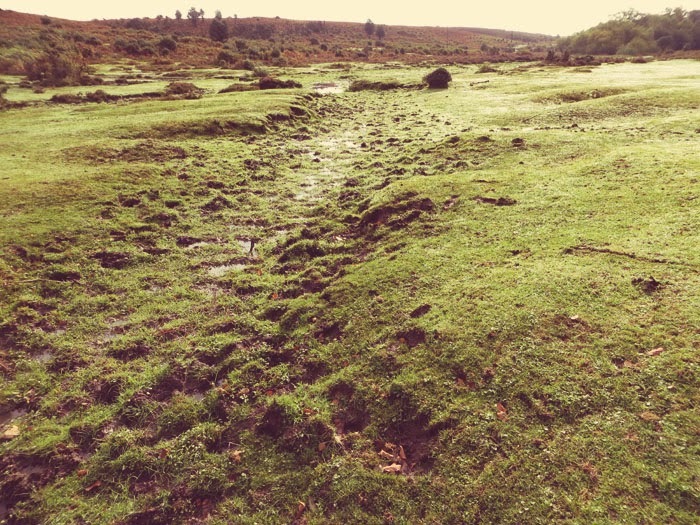 We’ve just got back from a couple of days staying in a hotel not far from us in the New Forest. It might seem strange to stay in a hotel just a few miles down the road but I was lucky enough to win some Red Letter Day vouchers in a competition a couple of months ago and they had New Forest hotel stays on offer so I thought I’d spend some of my voucher on a little local break for Tom and I. Luckily the hotel (Moorhill House Hotel) is dog friendly so we could take Bodhi along for the ride too. We picked this weekend because the town the hotel is in has a Cider Pressing Weekend on this weekend every year. We’ve been once before and it was so much fun – there’s steam-driven cider pressers, cider stalls, a hog roast, a band and lots of yummy produce on sale. We thought it would be great to be able to walk there from the hotel, but sadly the weather had other ideas. 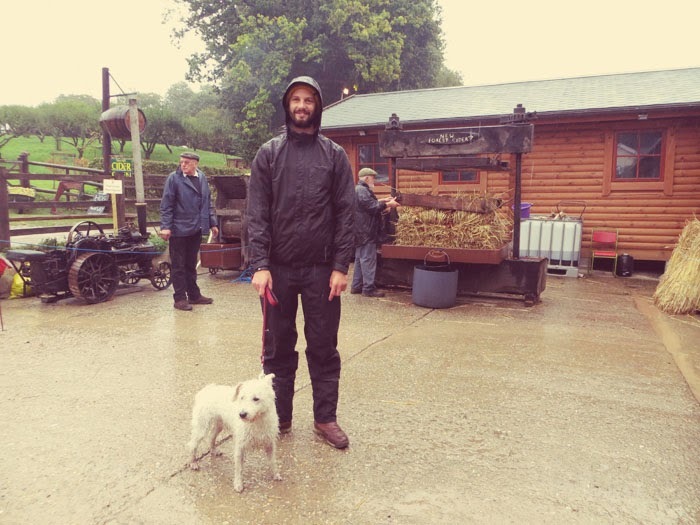 After eating a hog roast in the pouring rain and sloshing cider everywhere from trying to hold the dog and an umbrella, we gave up and went back to the hotel. Luckily the next day we awoke to beautiful sunshine. I just love crisp, sunny, Autumnal mornings. 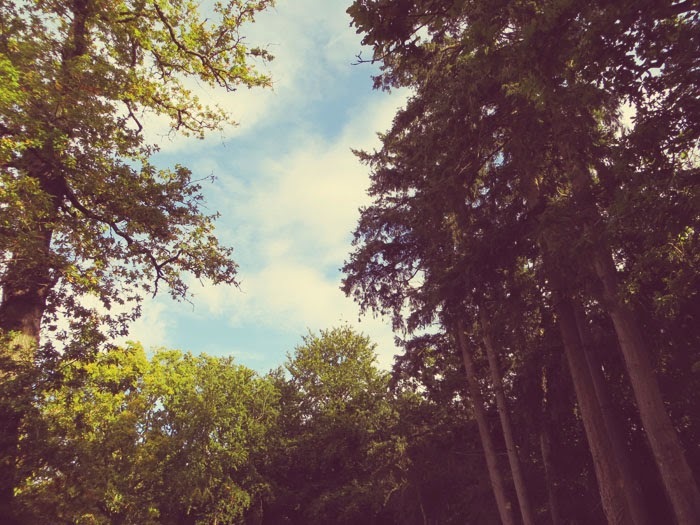 I wish I could wake up every day in the heart of a forest to the sound of birds singing. After a big hotel breakfast (which I was dreaming about the night before, oh how I love a Full English!) we went for a long walk with Bodhi. It really is beautiful where we live, we’re so lucky to have so many lovely places to walk the dog. Bodhi loves tramping around in the puddles, sniffing all the leaves and plants and chasing through the undergrowth after other dogs. We usually do a similar stretch of this walk at the weekends so it was lovely to be out in the forest on a weekday, it was so calm and quiet. 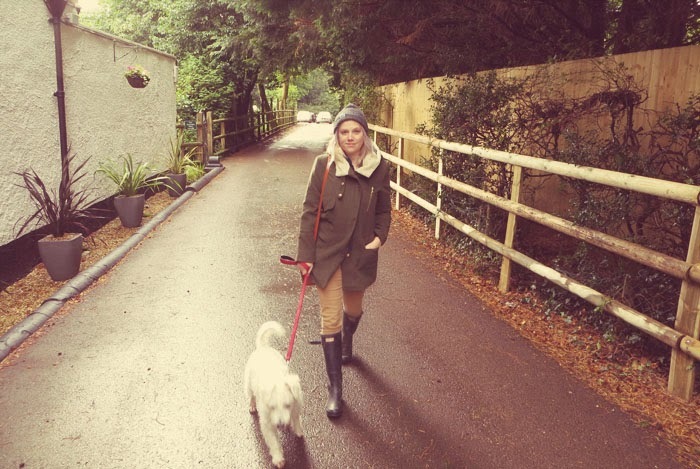 Excuse no make-up in the last photo – a day spent walking the dog and mooching around in Hunter wellington boots is a good excuse not to have to put any on! After the walk we went on to Lymington which is another few miles away. 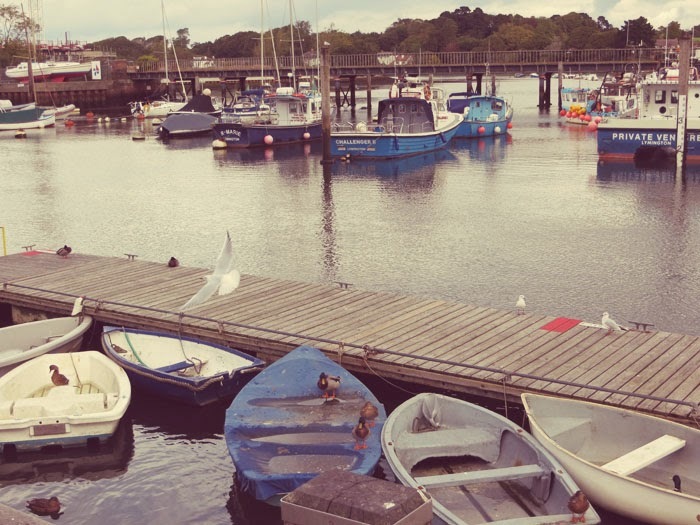 Lymington is really pretty with a lovely harbour and lots of boutique-y and nautical shops. 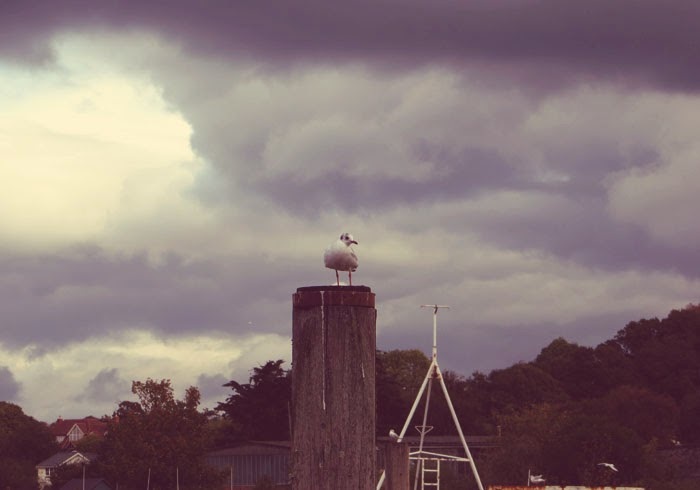 People were sat on the harbourside enjoying steaming piles of fish and chips and lots of expectant seagulls hovered overhead (along with some rather threatening looking clouds). 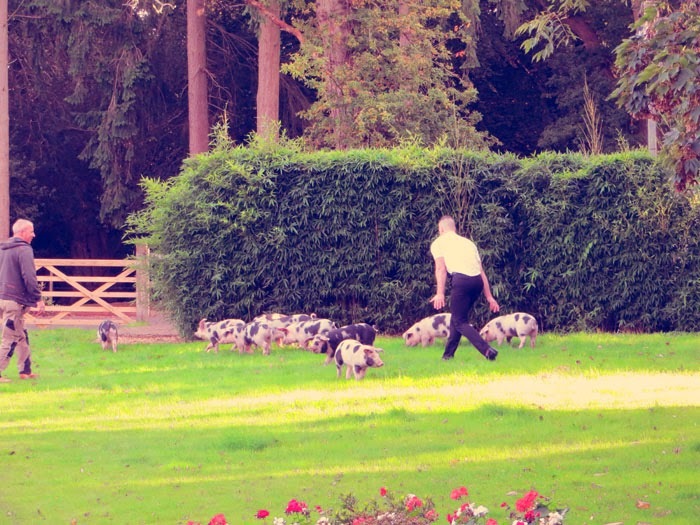 When we got back to the hotel the car park was full of piglets! They are released into the forest for a few months a year. 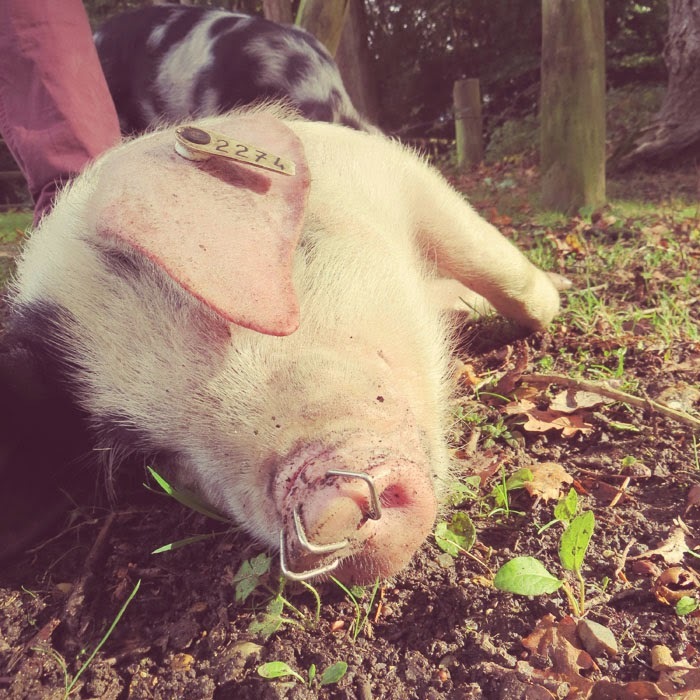 The pigs eat all of the green acorns that are poisonous to ponies and cattle (they also eat a whole host of other things including apples and sometimes people’s flowerbeds apparently!) This is called the pannage season. They are tagged and have rings through their noses to prevent the damage they cause from rooting around! One of the owners of the pigs showed us that if you stroke the pig’s belly they will roll onto their backs for more as they love it so much! This reminded me of Bodhi who does exactly the same. 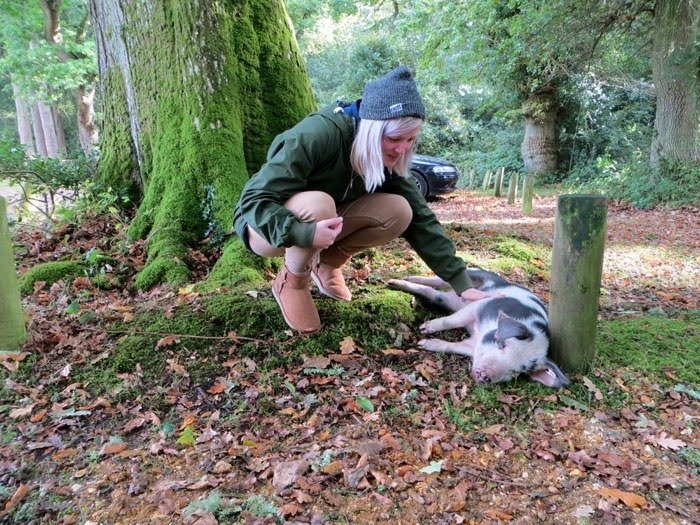 The owner was there because sadly the Mummy pig had just been kicked by a horse and was limping so they were calling the Verderers (who protect and look after the New Forest) to come and see if the sow was okay. 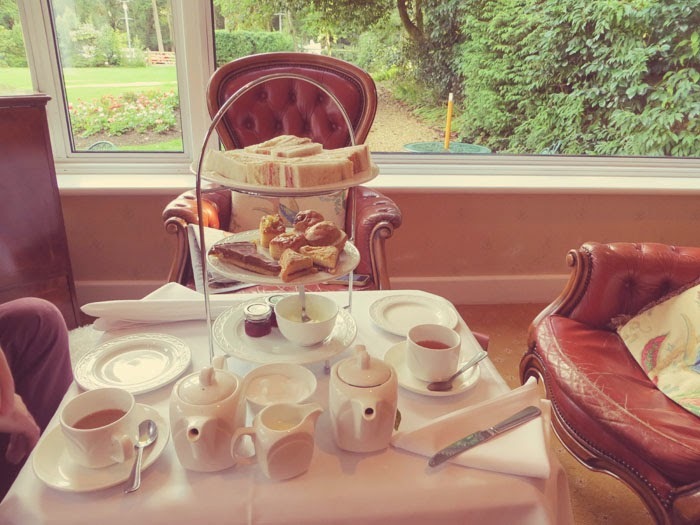 After our time fussing the piglets we headed back into the hotel for Afternoon Tea, which I also bought as a treat with my vouchers. I must admit it did take a while to come but when it arrived it was a nice selection, and lovely to look out on the garden whilst drinking our tea and tucking into cakes and sandwiches. The Afternoon Tea perked up even more when the piglets decided to crash the party! They broke into the hotel garden and started hunting for acorns in the flowerbeds! I know it’s a little mean but I was almost crying with laughter watching the hotel staff and some onlookers trying to herd pigs out of the garden. 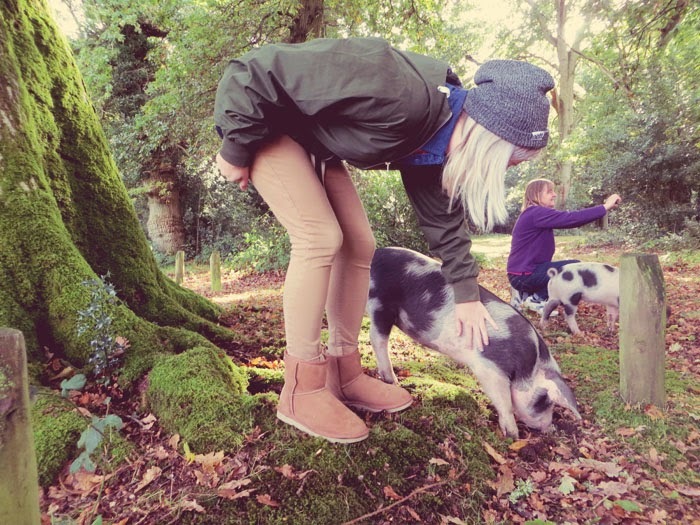 Tom even got involved at one point and picked one of the pigs up, making it expel the most hilarous ‘grunt-squeal’ I’ve ever heard. It was chaos! After a while they trotted out of their own accord and normal business was resumed. We had a light dinner in the hotel that night and headed back this morning. We’re now lucky enough to be washing and re-packing, ready to head off to a yurt in Wales for a couple of days, and then a holiday cottage to celebrate my Mum’s 60th. I bought even more books to take with me, watch out world I’m ready for some relaxing time! Can’t wait to tell you all about that little trip too when I get back!